Asthma is a chronic respiratory condition that causes airways in the lungs to become inflamed and constrict, making it difficult to breath. If you rely on prescription medications to treat sudden, severe attacks, you should continue to do so unless your doctor recommends otherwise. Adding honey to your daily treatment regimen will help reduce irritating symptoms like coughing, wheezing, and tightness in the chest. Want to know how? Let’s take a look at some of its beneficial properties. Honey strengthens the immune system, helping to protect against respiratory infections, cold, and flu, which can exacerbate asthma. The glucose in honey is absorbed quickly, so it gives you an instant burst of energy and prevents fatigue during physical exertion. Honey reduces coughing and clears up congestion. Honey contains alcohol and ethereal oil, which break up mucus in the throat. It soothes mucous membranes to reduce coughing and wheezing. Because it is anti-allergic and anti-inflammatory, it helps prevent asthma attacks triggered by allergic reactions. Honey contains selenium, magnesium, manganese, and other vitamins, amino acids, and anti-oxidants that strengthen the immune system and clear blockages from the airways in the lungs. Honey soothes the membranes in the bronchial tubes, and clears away the mucus that accumulates within them. Honey can be used in baking and cooking, and it can be added to your favorite teas. Eat 1 teaspoon of plain honey 3 times daily, and make sure you always use a raw, organic brand. Even smelling honey will give you some of the above-mentioned health benefits. Below, you’ll find several methods to treat asthma using honey. Try them all until you find the one that works best for you. The hot liquid enhances mucus removal from the bronchial tubes and reduces asthma. Heat 8 ounces of water, stir in 1 teaspoon of honey. Honey and cinnamon remove phlegm from the throat, open airways, and strengthen the immune system. They also have anti-oxidants and anti-microbial properties that prevent the growth of bacteria and fungus in the respiratory system. Eat it at night time before going to bed and in the morning with an empty stomach. Optional: You can add 1 tablespoon of lemon juice to above mixture. Or mix them into a cup of warm water and drink it night time. Repeat regularly to treat asthma. Lemons have vitamin C, which strengthens the immune system, and it has anti-oxidants and anti-septic properties kill bacteria and clear away mucus. Extract juice form ½ piece of lemon. Now add lemon juice and 1 teaspoon of honey to 1 glass of warm water. If this method doesn’t work switch to other methods. Mix 2 teaspoons of honey into a glass of warm or cold milk. Drink regularly to get relief from asthma. Mix 2 teaspoons of honey with 1 teaspoon of turmeric powder. Turmeric also helps to cure other respiratory problems. This mixture detoxifies the lungs and clears mucus from the airways. Soak 1 tablespoon of fenugreek seeds in 1 cup of water overnight. In the morning, stir in 1 teaspoon of honey and 1 teaspoon of ginger juice. Drink it 2 times a day, in the morning and in the evening. Boil 2 cups of water and stir in 5-6 cloves. Drink 2 times daily once in the morning and before going to bed to treat asthma. Mix with enough honey to make a paste. You can add honey to gooseberry powder. This mixture detoxifies the respiratory tract. Put one radish in the blender or juicer. Add 1 teaspoon of lemon juice and 1 teaspoon of honey to radish juice. It helps to clear respiratory tract and thereby asthma. Crush 5 fresh basil leaves to make a paste. Mix basil with 1 teaspoon honey. Mix basil and honey into ½ cup of bitter gourd juice. Crush 2 garlic cloves to extract juice. Mix garlic juice with 1 teaspoon of honey and 1 teaspoon of olive oil. Mix all ingredients into a glass of warm milk. Honey and thyme reduce inflammation. Simply mix thyme with honey and eat it. You can consume this mixture up to 10 times daily. But it should always be stored at room temperature. Combine 1 tablespoon of honey, 1 tablespoon of drumstick leaf juice, 1 teaspoon of onion juice, and ½ teaspoon of asafetida. Have this regularly to reduce asthma. Or Mix a tablespoon of onion juice and 1/2 teaspoon of honey. In a pan, melt 10 tablespoons of butter. Stir in 7 tablespoons of horseradish, 3-7 minced garlic cloves, and 1/3 of cup honey. Remove from heat, let cool, and store in an airtight container. Take 1 tablespoon of this mixture before each meal. Orange juice is particularly useful for kids, because they like it, and grape juice clears away mucus. For kids mix 2 tablespoons of honey into a cup of orange or grape juice and drink it. Mix 1 tablespoon of honey with 1/2 teaspoon of dried sunflower seed powder. Stir it well and eat it twice a day to get rid of asthma. This mixture reduces cough and chest congestion. Mix 1 teaspoon of honey with ¼ cup of onion juice and 1/8 teaspoon of black pepper. eat it once a day to reduce asthma. Mix equal quantities of honey, minced ginger, and black pepper. Eat it once a day to keep asthma at bay. Mix 1 tablespoon of honey with ½ teaspoon of dry safflower seed powder. Eat it twice a day to get rid of bronchial asthma. Chop 1 pound of organic red onions. Put ¼ cup of sugar in a pan and place over low heat. Add 6 cups of water and boil until it is reduced to 1/3 of its original volume. Stir in 7 tablespoons of honey and the juice of 2 lemons. Pour mixture into container and store overnight without disturbing. Adults should take 1 tablespoon before meals; children should take 1 teaspoon before meals. Mix 1 teaspoon of honey with 2 tablespoons of apple cider vinegar and a pinch of cayenne pepper or cinnamon. Consume before bed each night. Eat regularly to get relief from asthma. Stir in 1 tablespoon of grated ginger, 1 minced garlic, and the juice of 1 lemon. Remove from heat and let steep 25 minutes. Stir in 2 tablespoons honey. Drink daily to get instant relief from cough that associated with asthma. Manuka honey comes from the Manuka bush, which is found in New Zealand. This monofloral honey strengthens the immune system, and it contains amino acids, minerals, vitamins, and anti-oxidants that keep the respiratory system healthy. It is also osmotic, which means it prevents the intake of excess fluids that clog airways. Manuka honey is unique because it contains hydrogen peroxide, which fights the bacteria that cause respiratory infection and illness. Taking a teaspoon of Manuka honey twice a day has been shown to lessen the frequency of asthma attacks. Always use raw, organic honey for asthma treatments. Manuka honey is preferred, but if it’s unavailable, look for dark honey from plants like buckwheat. Dark honey contains more anti-oxidants than light honey, and it contains phenolic compounds and flavonoids that soothe airways and relieve congestion, preventing future asthma attacks. If you can’t find a dark honey, light honey will also work. Make sure to get a local brand, which you should be able to find at almost any grocery store or farmer’s market. Don’t give honey to babies under 3 years of age. If you’re allergic to pollen, honey may trigger allergic symptoms. Consult a doctor before using honey as an asthma treatment. The fructose in honey can interfere with diabetes medications. Use honey as a substitute for refined sugar. Don’t stop using your regular asthma medicines. Honey is a supplemental treatment. If symptoms persist or worsen, call your doctor immediately. 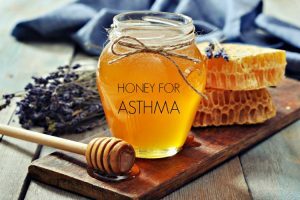 Have you tried any of these methods for treating asthma with honey? Tell us which ones worked best for you. what causes throat irritation immediately natural honey is used that causes immediate vomiting? what is black k pepper? May be you are allergic to honey so it is better to try different remedies for asthma. You can find them in this article – http://homeremediesforlife.com/asthma/. Black pepper is a spice generally used for seasoning. Why is it that every night i get asthmatic attack? Am in Ghana! Asthma can be triggered by dust, pollen, weather, dust mites or some by foods, flowers or smells you are allergic to. So observe your daily routine during nights and find out the trigger. Unfortunately I aspirated whilst asleep and now I am battling to get rid of bronchiolitis with chronic wheezing. Natural honey along with lemon juice helps an enormous amount; especially in the middle of the night! Thankyou for your different suggestions they do help. Cheers. Asthma cannot be cured completely. Although you can suppress the symptoms and adversity with some simple home remedies. So choose any remedy in the above article and try it regularly to keep asthma under control. Yes, you try. If having breathing and chest congestion continues, get medical help. Kindly advice which honey and how is better…. Is manuka honey mg 4000 or umf 12 is better for him ??? Yes, Manuka honey is good. However, we recommend consulting doctor for proper dosage as we are not aware of his medical condition. 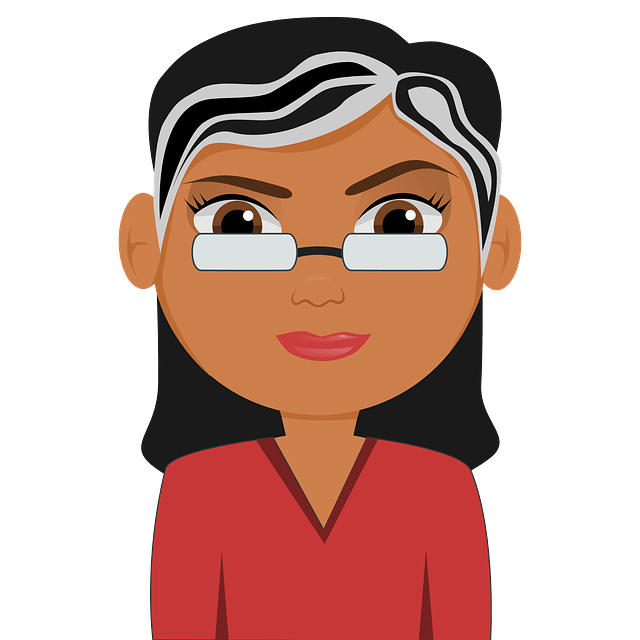 Can prednisolone combine well with the honey Asthma remedy recommended here? It is better to consult your doctor as honey can interact with some medications. I cough mush during the night. What is it that triggers asthma at night? I’m 52yrs I’ve been to the Doctor. Im using inhalers Foxair and Asthaventbut the recovery progress is slow. While yes, honey is a cure for all disease, according to my Prophet (PBUH) it does not contain hydrogen peroxide or any kind of alcohol. Everything that is sweet, is not made with sugar. Honey contains an amazing gluecose content, while sweet, does the opposite of what sugar (and alcohol which is simply made from sugar and yiest) does, it heals and binds. You take honey because it is sweet, but is made by designed by God to be the opposite of disease causing alcohol. Also, the alcohol in wine is not good for the heart, but grape juice is good for the heart and blood. Anyone who even squuezes the grapes knowing they will go into alcohol is then cursed by God.